The essentials at Avila's Pro Shop are the finishing touches for any horseman. The essentials also include hat brushes, rain covers, hat cans and the very finest goatskin gloves. Avila's Pro Shop carries a variety of felt hats from economical to the absolutely finest 100% beaver hats made anywhere in the world. 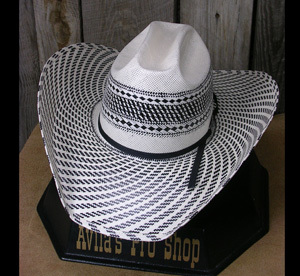 Avila's Pro Shop carries Bailey and American straw hats. Our gloves are made of Cabretta goatskin which is stronger and longer lasting than deerskin or cowhide. These gloves are like a second skin for your hands on those crisp mornings.